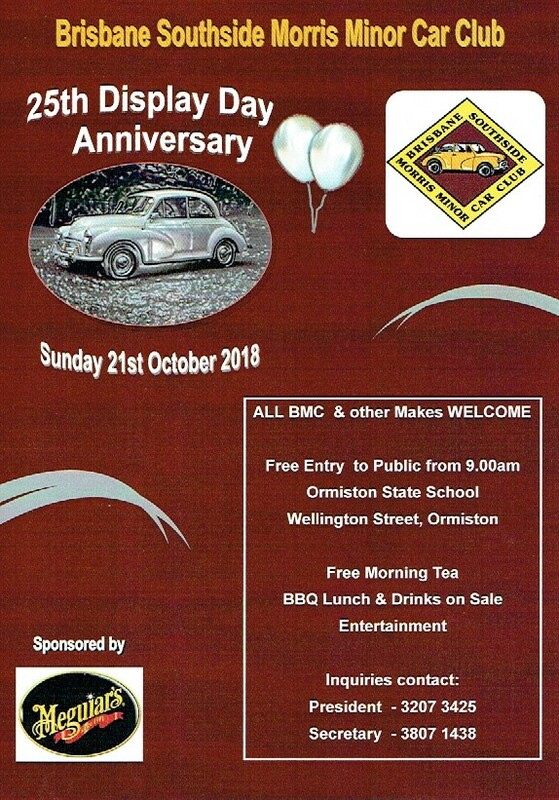 Brisbane Southside Morris Minor Car Club Display Day. Join our Cousins to display your car. For more information Click on the Flyer.